-I like how David Ortiz suddenly thought he was Rickey Henderson twice in 3 days this past week, and getting thrown out both times. He was first thrown out stretching a double into a triple, the throw getting there so far ahead of David that he did not bother to slide. And second, thrown out trying to get back to the base after stumbling around first on what should have been a stand-up double. In both cases, he drove in a run, ended the inning, and limited a rally. But the Sox won both games. -I like how Scott Podsednik, who last played in MLB on 9-9-10 is now seen running down balls in Fenway’s Centerfield, his red stockings showing all the way up to the knee in Trot Nixon style. Scott is busting it going down the line, flashing speed and hustle. The 36 year old veteran has, as of this writing, matching .444 OBP and .444 BA for the Sox. Nice come back, Scott. -And as I write this late on June 1, here is Johann Santana, striking out David Freese with a curve in the dirt to record the first no-no in the 51 years of New York Mets history. Ryan, Seaver, Gooden and Cone didn’t do it. Johann did. I like that, too. -Josh Beckett, responding after an atrocious outing on May 10 by winning his next 3 starts. He allowed just 3 ER in the 21 and 1/3rd IP that followed. The guy has 7 (seven) A+ outings this year. Do you hear all the crabbing about Josh now? No, I don’t either. Like it. -On March 14, I wrote that Felix Doubront would be a contributor after he threw 4 shutout innings at the Yankees. He’s been the best starter on the staff, leading it in wins, ERA and strike outs. Douby projects to 15 -6, 166 IP and 178 K’s. Looks like we can trust this 24-year-old Venenzuelan to deliver 6 good innings per start from the 4 slot. 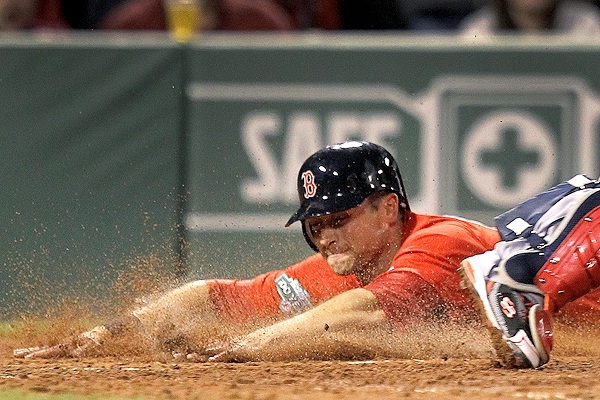 – I like the arrival of Will Middlebrooks, who is hitting .316 with 6 home runs in his first 99 plate appearances. He hit a true laser into the Monster on May 30 off Drew Smyly that left Fenway as quickly as any ball I have seen do so. -I like the impending departure of Kevin Youkilis, made expendable by his own lack of durability and Middlebrooks’ emergence. Let’s hope this doesn’t turn out like when the Sox let Wade Boggs drift away because they thought Scott Cooper was the future. -I like that the Sox lost their first 5 games, and 8 of the first 9 in May, and STILL won more than they lost in for the month. -I like a crazy patchwork outfield of Nava, Sweeney and Podsednik, while Crawford, Ross and Ellsbury are on the DL collecting their combined $30 Million in annual salary. -And I like that Salty is batting .286 with 10 HR’s in 136 plate appearances while carrying the mail behind the plate. The big kid from West Palm is having a breakthrough year. This entry was posted on June 2, 2012 at 2:48 am	and is filed under BASEBALL, RED SOX. You can follow any responses to this entry through the RSS 2.0 feed. You can leave a response, or trackback from your own site.